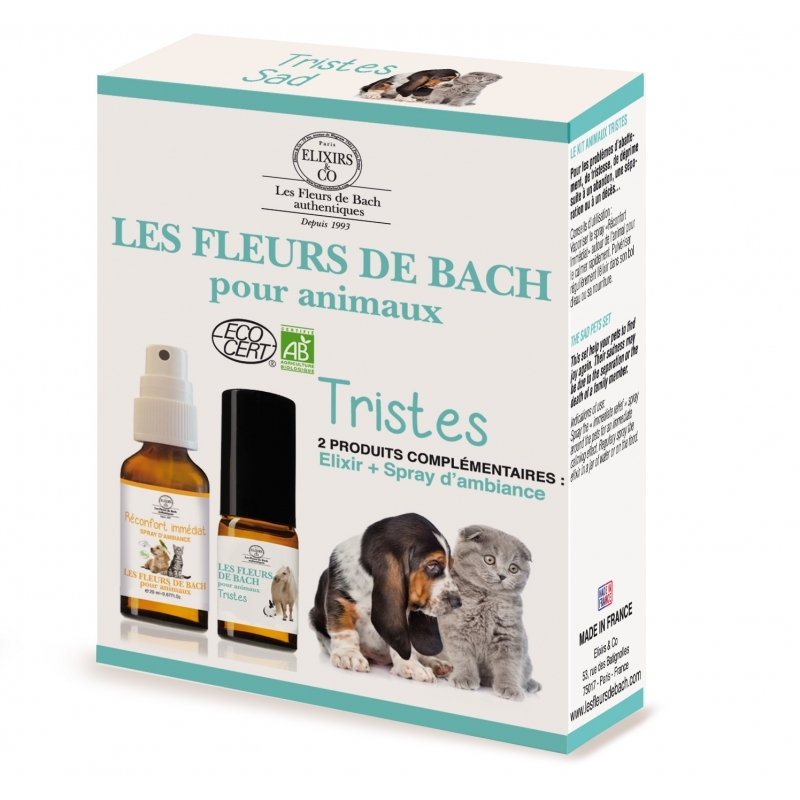 This set helps your pets to find joy again. Their sadness may be due to the separation or the death of a family member. Fear is a common problem for pets, terrorized, can become dangerous. A frightened animal has lowered ears, spiky hair, tail between his legs back. It emits growling and ready to pounce. The cat meowing, postures, looks are all signs that help to understand that the cat is afraid: the ears and whiskers are laid back, the hairs bristle on the back and tail, the back is all round and the pupils dilate. The panic in dogs is often associated to noise, thunderstorms, fireworks. He returned his tail between his legs, ears down, grunts, groans issues. Aspen: to appease the obsessive thoughts. Mimulus: to face the small everyday fears. Aqua, bio alcohol, watery extracts of flowers: Organic Clematis vitalba Organic Ornithogalum Umbellatum, Organic helianthemum nummularium, Organic Glandulifera Impatiens, Organic Prunus cerasifera, Organic Salix vitellina, Organic Rosa Canina.100% of agricultural raw materials come from organic farming.